Indo-Chinese cuisine is something that many of us in India relish. Noodles, fried rice, chop suey, with their many variations are made and served in every nook and corner of our country. 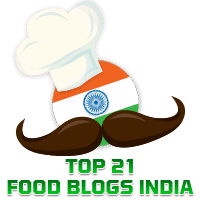 Elsewhere in this blog, you will find recipes for a few Indo-Chinese dishes such as Schezwan Potatoes, Hakka Mushrooms, and Schezwan Rice. Today's recipe is for Schezwan Mushroom adapted from Tasty Indian Recipes. I like the dry version of this dish which can serve as a starter or as a side dish. While you can make and use home made Schezwan Sauce, I have used my favourite, the store bought Ching's brand of Schezwan Sauce.